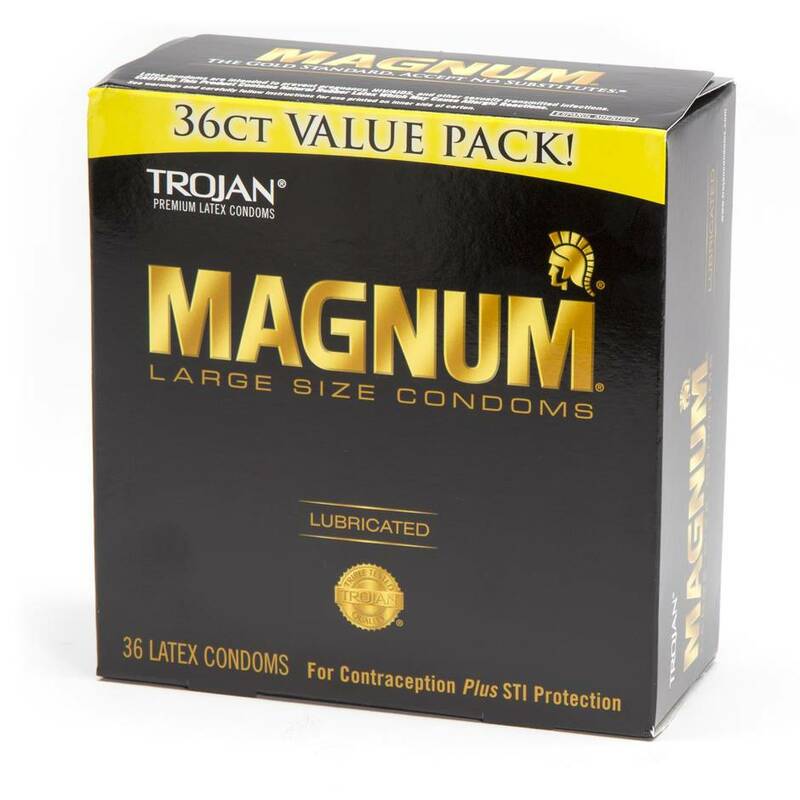 Designed for all of you well-endowed chaps out there, Trojan's Magnum condom offers total comfort and peace of mind for both you and your partner. The tapered end gives a secure fit, with the lubricated surface improving sensation for you and them. Order over the phone: Call 1-437-887-1456 and quote code 39884. Each condom is electronically tested and made from top-quality latex with a reservoir tip to help ensure reliability and peace of mind. It's difficult finding large condoms that fit correctly. These were perfect. Initially we bought the 12 pack. Now we always buy this size. Great condoms that are thicker than most but haven't broken on us once. Tried these out recently. As a guy with a little, extra especially girth, standard condoms won't do. Magnum are probably the biggest brand out there in terms of catering for the more well blessed chap. The packaging and quality is top-notch. My only qualm is with the fact that condoms come in thin, flavoured large etc. not combos of the above. If you have a large condom you will lose a lot of sensitivity. I used these a few nights ago and because I was lacking stimulation I slipped it off and put a Skyn large on to finish the session. Good but others are better. I ordered these about a month ago. They are good; however, they are not the same size as the other large ones done by Trojan. These ones seemed to be smaller. While they are good value for money, I did not find them to be comfortable enough to buy again. Too small compared to other large condoms.